begin shooting new material after my exhibition. my vision of how evil often comes in nicely wrapped packages. I'll share ready photos with you in my next post. state of mind and I'm so ready to start shopping for Spring/ Summer clothes. and try to visit and leave a comment on as many of your blogs as possible. I like this new trend of stripes. Nice outfit. Ahh, I love this post and I know what you mean about being in a spring state of mind. I was shopping today and totally felt like that seeing bright colors and floral print. You look great!! great pirate look...love your bag! This is lovely, stripes are always so stylish. I love your bag! Cute outfit! That bag is gorgeous!! great look! likethe blog and I'm now a new folloer! A beautiful pirate indeed ;). stripes everywhere! always perfect combo with red! Ho la la, your bag <3 Beautiful! 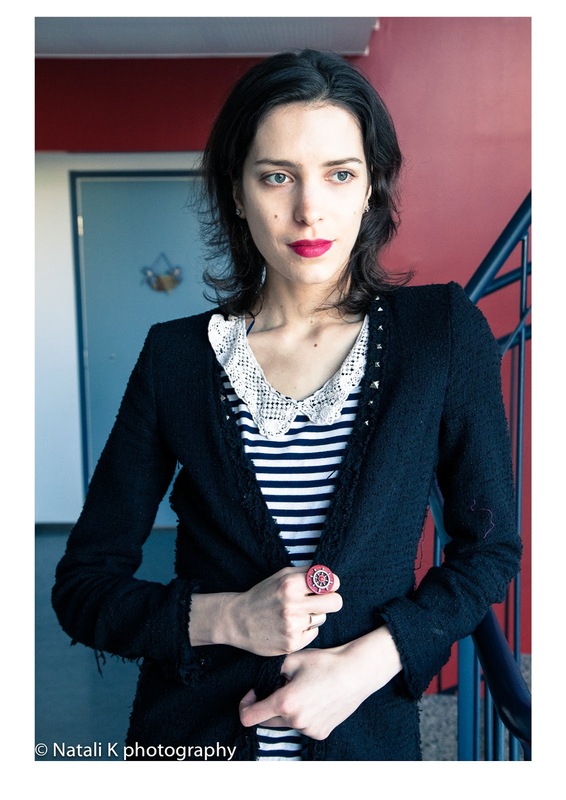 love the collar on your top! stripes are always a classic! nice look! so cute! stripes and red are perfect!! i like the use of colours and patterns on this outfit. Nice Blog! You look wonderful. super chic but colorful! love it. Nice look, love the stripes. Thanks so much for your visit and your comment. A cute 'n posh little post! 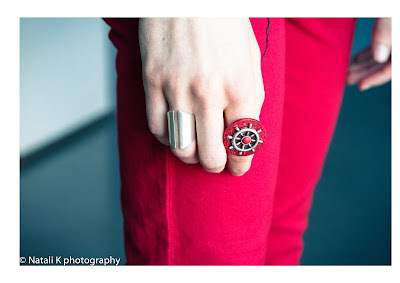 Love the pirate theme and your rings! such a classic and lovely outfit! 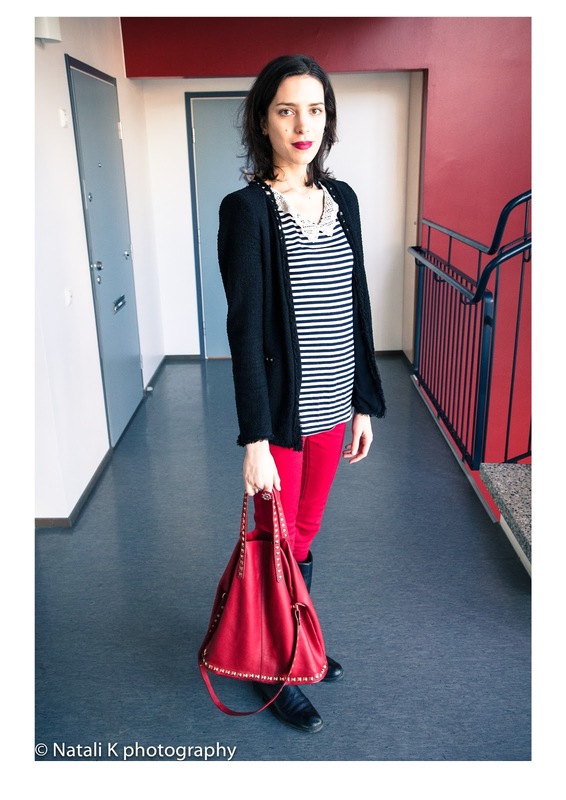 love the red pants and red lipstick pops! totally fab! 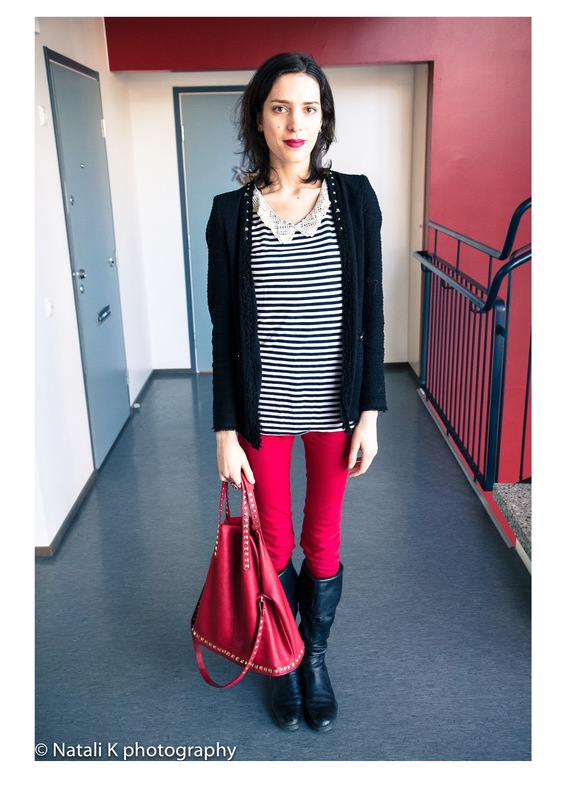 love the stripe + red combo! Red is one of my favorite colors and I've been looking for a good pair of jeans in the hot shade! 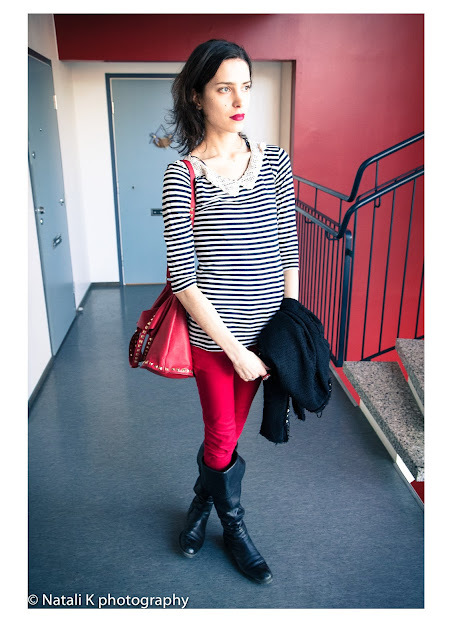 I find that stripes and red always work so well together. I have noticed a lot of nautical stripes blossoming in retail stores for spring and I am so excited! Lovely outfit. i love that zara bag!! !